To ensure the quality of your output from start to finish, rely on HP printing material for Designjet printers. 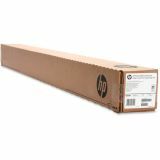 HP papers are engineered to work with HP Designjet print cartridges, ink systems, and HP Designjet printers to deliver sharper print quality and colors that stay true and vivid. The result—a total printing solution designed to fit your needs. HP DesignJet Inkjet Large Format Paper, 6.6 mil, 42" x 100 ft, Coated White - Heavyweight coated paper is ideal for color-accurate everyday prints and design proofs. Bright white paper captures vivid, high-resolution color and dense black images. 35 lb. 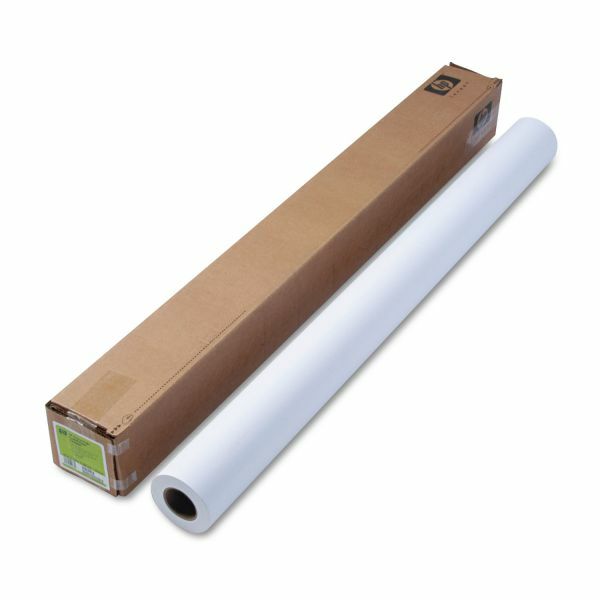 coated paper can be printed with dye or pigment inks for the broadest application possibilities and printing flexibility.